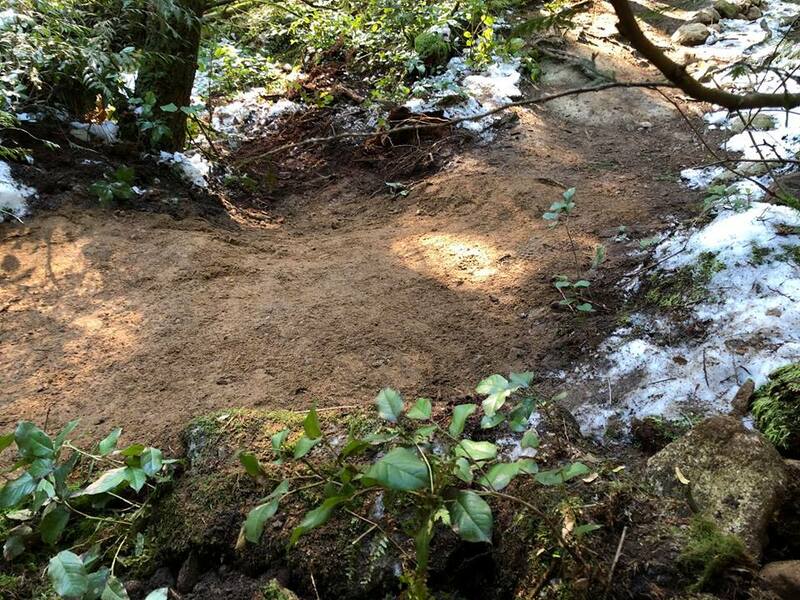 The snow has finally receded and digging season is in full swing! 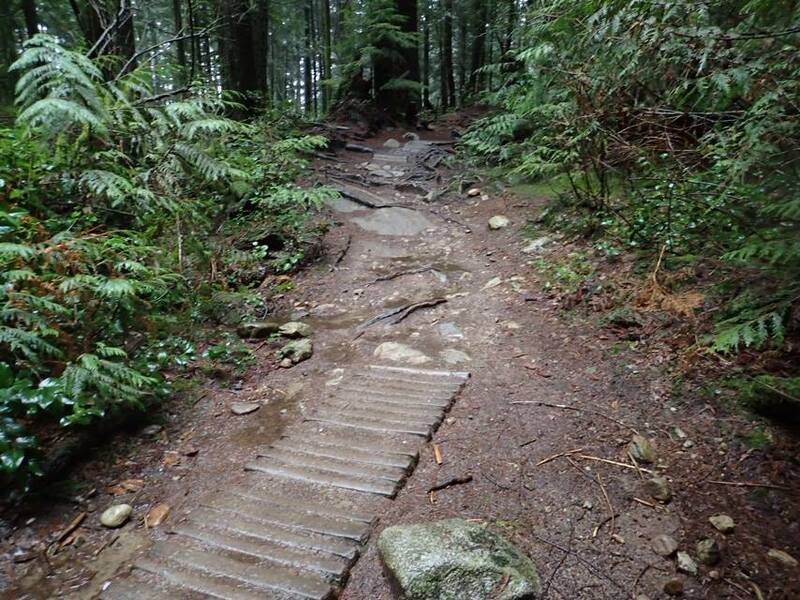 The Trail Academy kicked of the season with the first Foundations Academy on March 1st. 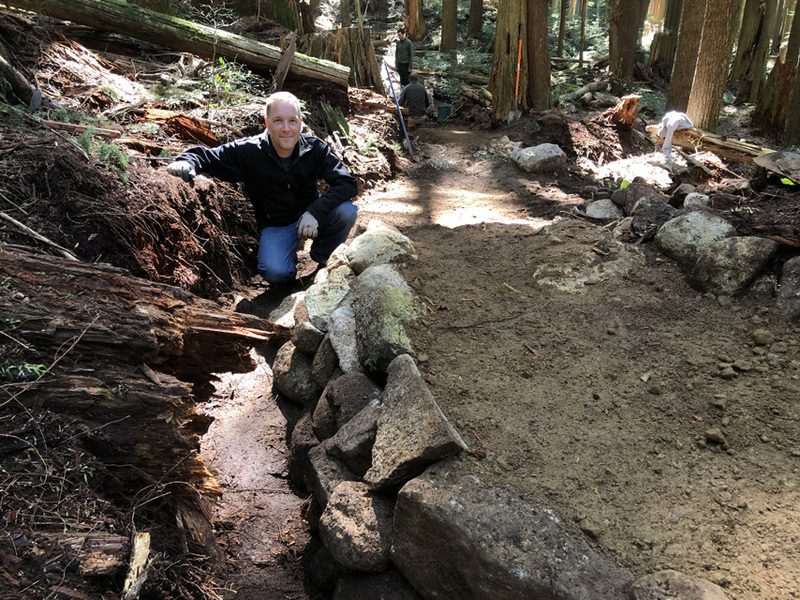 Graduates tackled repairs along a short section of Bridle Path. 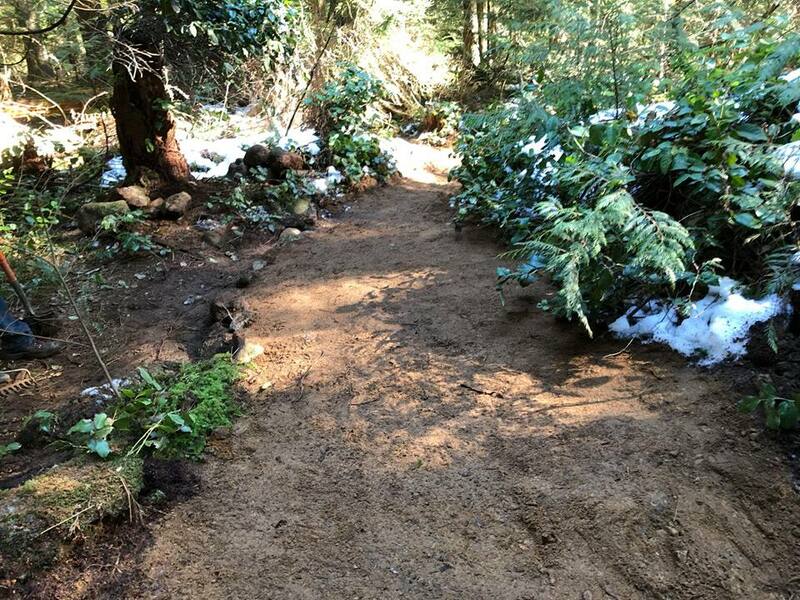 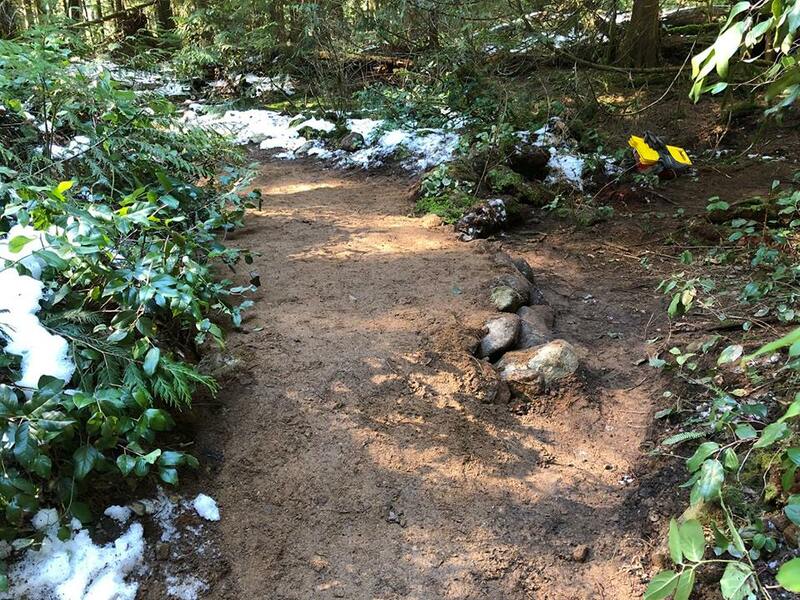 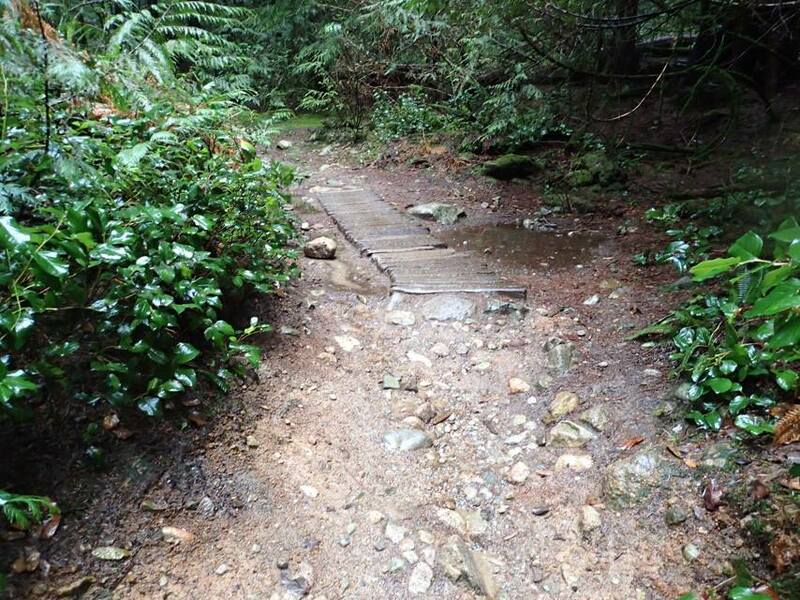 An old rotten ladder bridge that had become buried in the trail was removed and replaced with rock & dirt to raise the trail bed and help keep water off the trail. 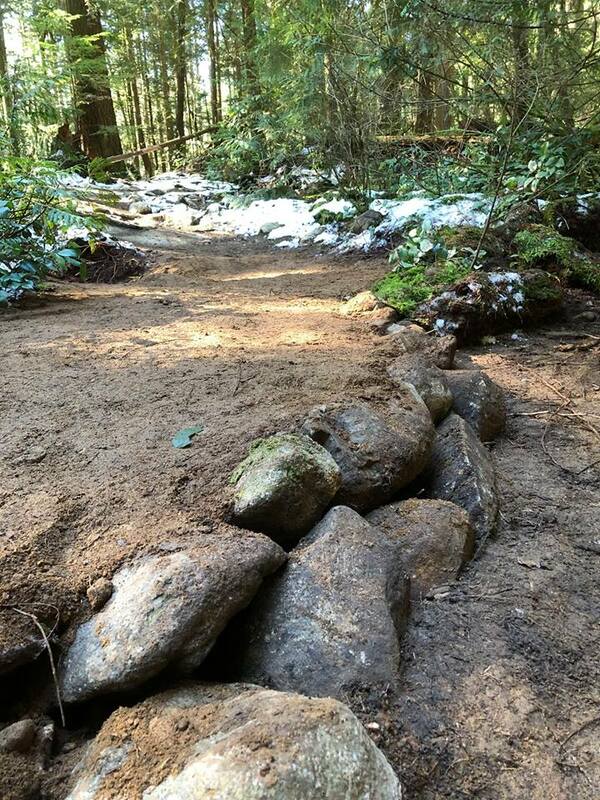 A ditch and several grade reversals were also added to improve the water management even more. 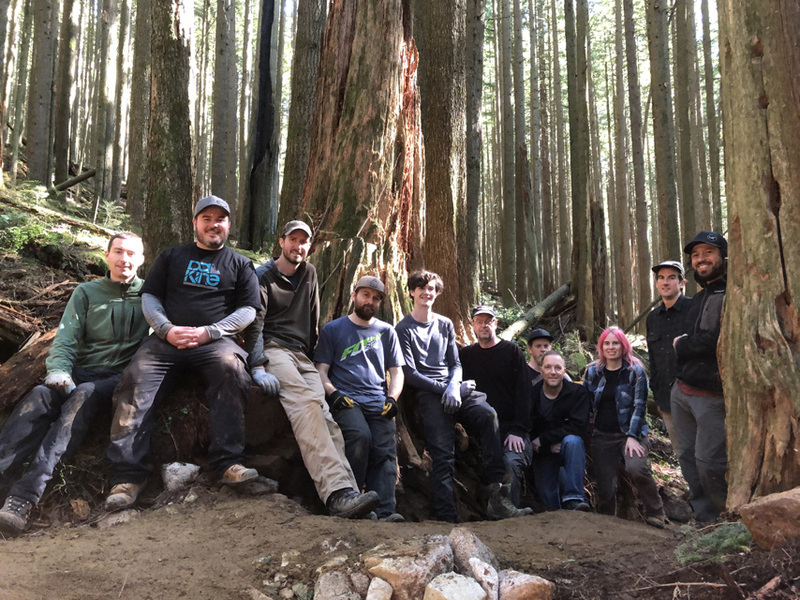 Many thanks to the great crew that came out to learn about trail care! 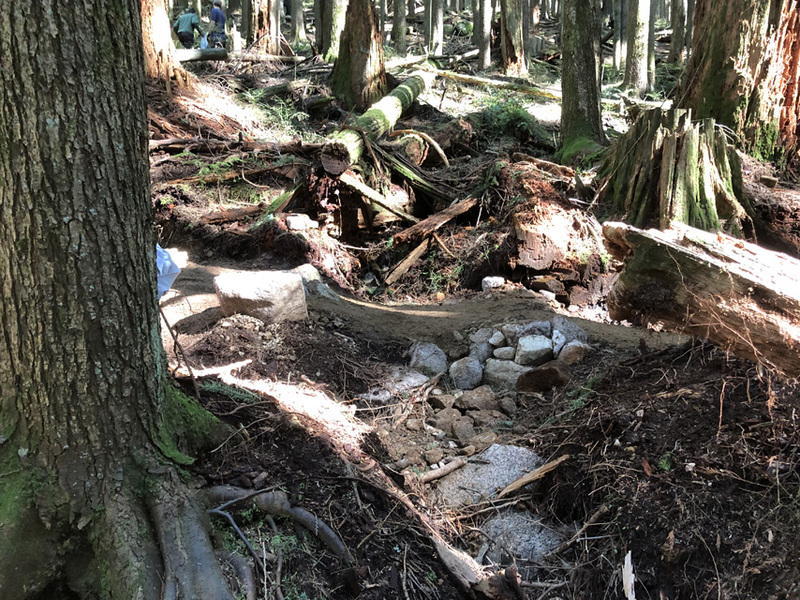 Although the North Shore is famous for the wood stunts that are found on many trails, it’s not often we get the opportunity to build new ones. 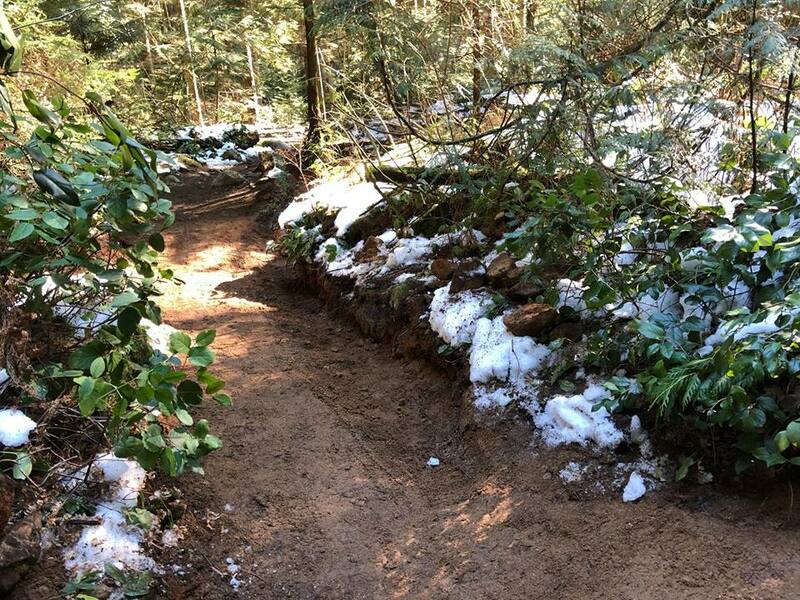 So when the time comes to replace a bridge or feature, it’s always a popular trail day. 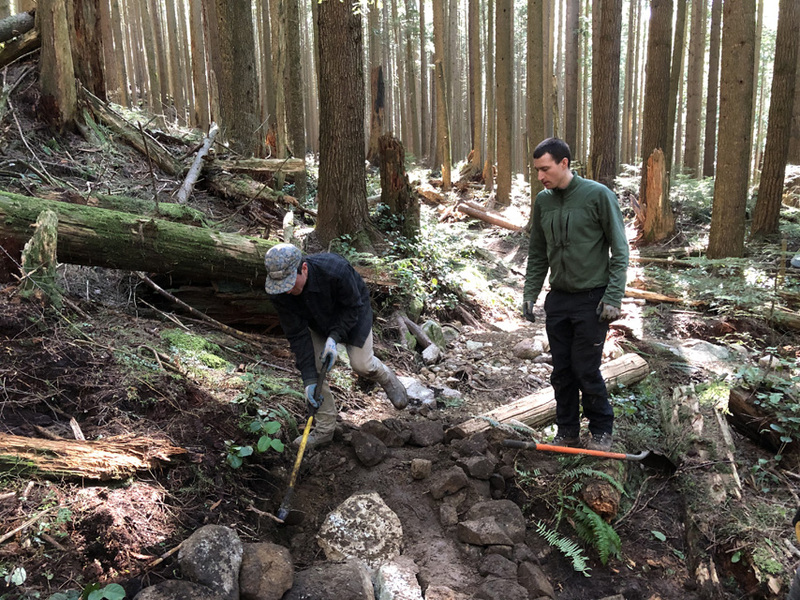 Shore Corps members who attended the Wood Structure Advanced Academy got hands on experience with splitting slats and stripping cedar before assembling a new bridge on the Hill Dr Access trail. 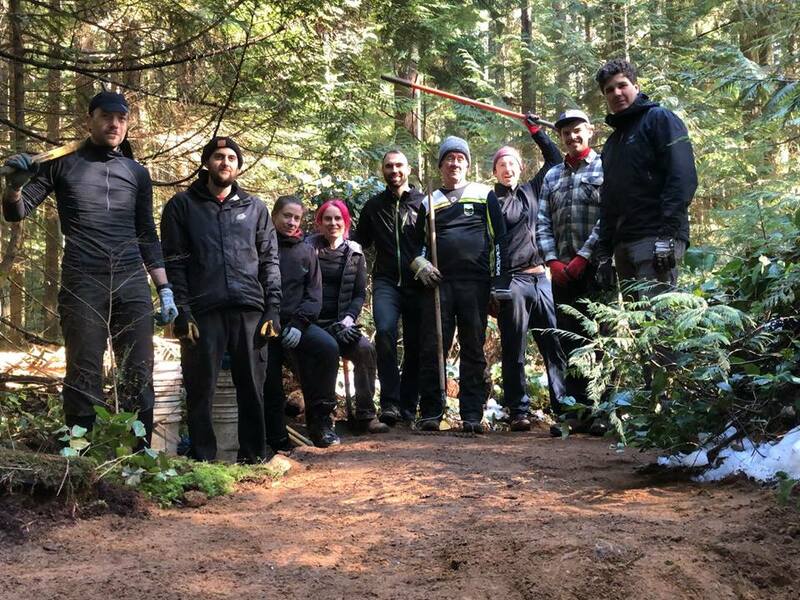 Excellent work by this fantastic crew – thank you for dedicating your times to the trails! 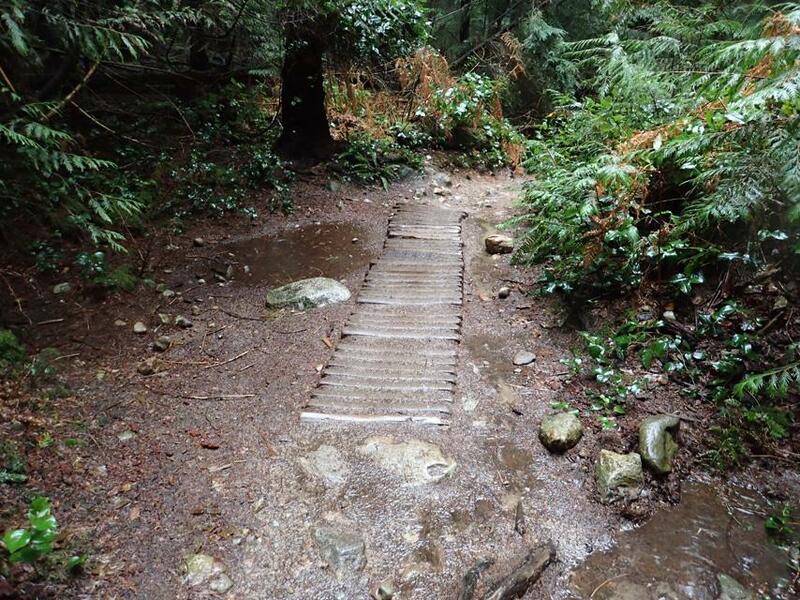 The winter saw some heavy rains before the snow, and the water took its toll on some of the trails. 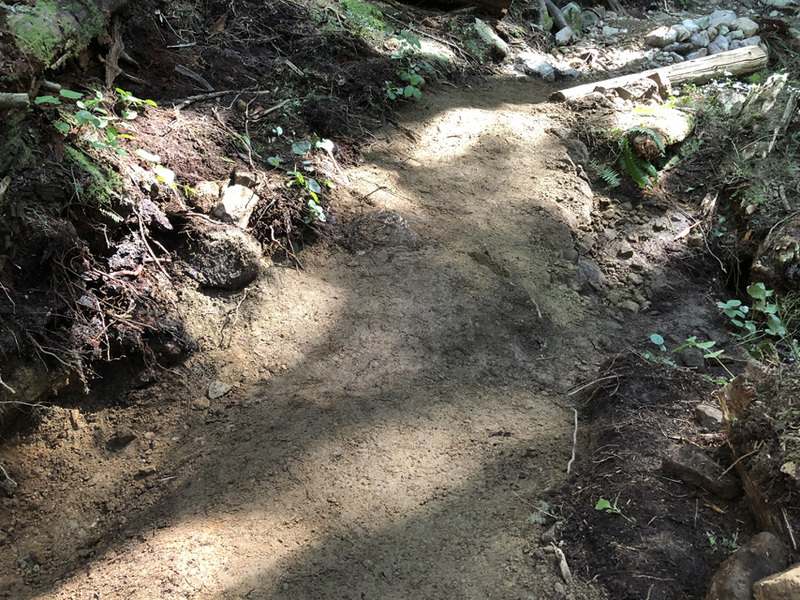 The most recent Shore Corps graduates stepped up to the challenge to repair damage done by the storms and to ensure that the trail will hold up to future weather. 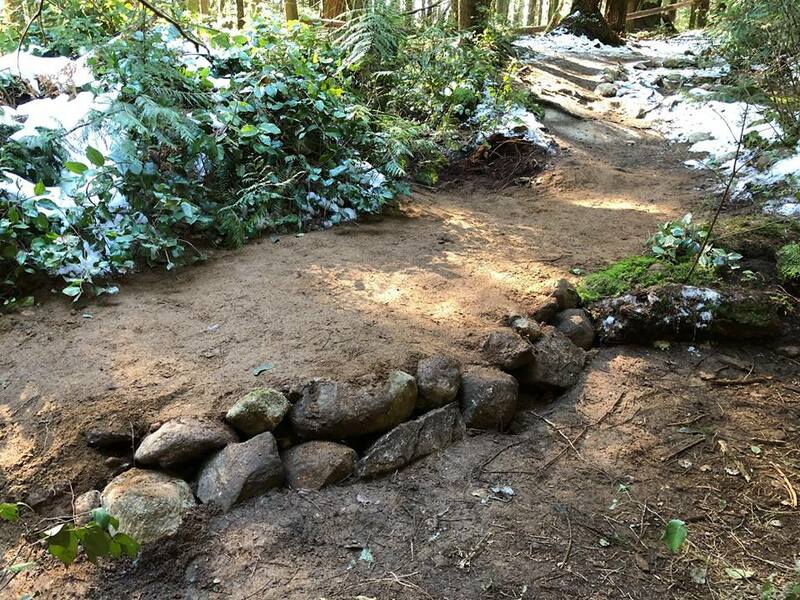 The new work was put to the text in the recent rains and is working perfectly!